Yahoo! launched its new Weather app for iPhone a few weeks ago, and it’s quite possibly one of the prettiest weather apps you’ll find in the App Store. It’s received a ton of praise for its design, which combines gorgeous Flickr photos with clean, minimalist graphics. With the Yahoo! Weather app set as default, it’ll launch automatically — in place of Apple’s built-in Weather app — when you tap the weather widget inside Notification Center. 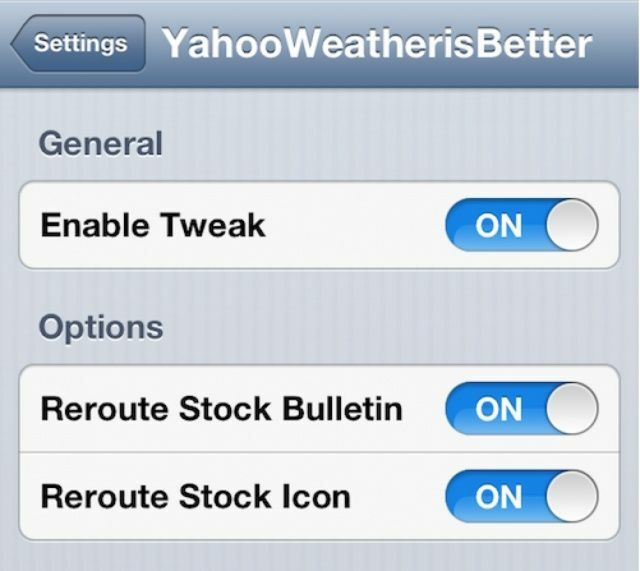 There’s also an option to reroute the stock Weather icon, so if you choose to, you can launch Yahoo! Weather by tapping Apple’s Weather icon. There is one caveat, however. The tweak doesn’t launch the Yahoo! Weather app when you access weather information using Siri, so you’ll have to stick to Apple’s own Weather app there. We’re hoping, however, that a feature update brings this functionality. 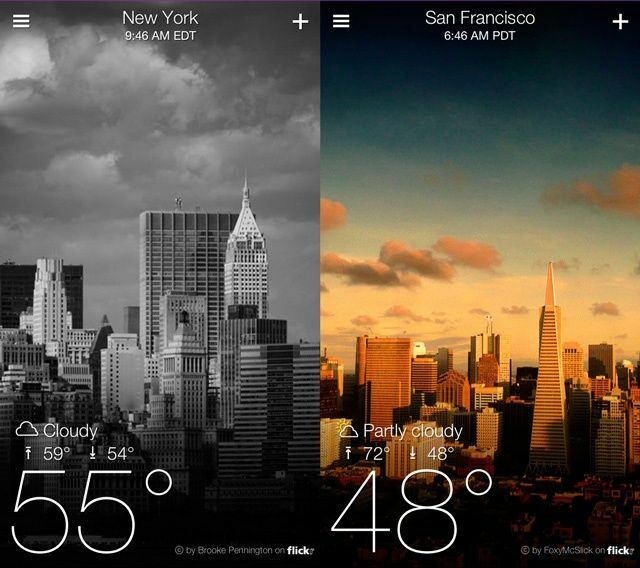 YahooWeatherisBetter is completely free, and it’s available to download now from Cydia’s BigBoss repository.